Through the years, much has been written about the misfortunes that plagued overseas Filipino workers. Countless OFWs have been abused physically and sexually. Many were forced to work in extremely inhumane circumstances under cruel employers (who probably regard their workers as a material possession). For sure, maltreatment of OFWs happen anywhere in the world, but the stories of abuse coming from those who worked in Middle Eastern nations are more common – and more disturbing. Nevertheless, nothing can stop Filipinos from seeking overseas employment. With over a million Filipinos currently employed in the Kingdom of Saudi Arabia, the recently implemented Nitaqat system (or “Saudization” of the work force) is certainly not good news for the Philippine economy. Our nation’s labor export policy has been in place for over three decades now, having been initiated by then President Ferdinand Marcos. This scheme has mitigated the country’s perpetual unemployment problem. According to the latest labor figures, there are 11.3 million Filipinos who are unemployed. OFWs had also kept the economy afloat through the billions of dollars in cash remittance they’ve sent back home annually. The realities cannot be denied. Even those who have graduated with honors from the Philippines’ best universities are having a hard time finding a job. Many eventually settle for the first job offer that comes their way – never mind if the compensation package is not at all attractive (or if the work has nothing to do with what one has specialized in). As economists always point out, underemployment is preferable to unemployment. It is also a fact that salaries earned by those who opt to work locally pale in comparison to what one can possibly earn in other countries. Contrary to insinuations that the Saudization policy was implemented merely as a revenge for the recent investigations conducted by the Philippine Congress regarding the abuse of OFWs in the Middle East, the scheme was actually put into place because the oil kingdom is also experiencing worsening unemployment. Arab News reported last month that as much as 10% of the entire population does not have jobs. Among females, unemployment could be as high as 30%, the paper added. The recently implemented “Saudization” of the work force is certainly not good news for the Philippines. The Saudi government appears all set to implement the said policy strictly, giving companies just a few months to increase the number of Saudis in their workforce, lest they be dealt with “punitive measures.” The government of KSA has set a fixed percentage of Saudi employees depending on the industry. “Red” companies, for instance, are also not allowed to renew work visas for their foreign employees. Thus, OFWs who initially planned to have a brief vacation to the Philippines will probably no longer be allowed to come back. With the global financial crisis still lingering and with no end in sight, the job security of people who work overseas are in jeopardy. For example, since the unemployment in America remains high at 9.2% (or anout 14 million Americans), the government has made it harder for immigrants (whether legitimate or undocumented) to find work. American politicians, meanwhile, never fail to demonize in their speeches companies who outsource their operations overseas. Americans, after all, always rail about people who “take” away their jobs. Given these realities, it is totally understandable for affluent nations to prioritize their own people when it comes to giving jobs. Labor export-dependent countries like the Philippines have no other option but to start adapting to this unfavorable situation. Reliance on foreign countries to solve a nation’s unemployment woes is not sustainable. This cannot go on forever. _____________. Commission on Filipinos Overseas. Stock Estimate of Overseas Filipinos. Philippine Overseas Employment Agency website (http://www.poea.gov.ph/stats/Stock%20Estmate%202009.pdf). Retrieved July 21, 2011. O’Neil, Kevin. Labor Export as Government Policy: The Case of the Philippines. Migration Policy Institute website. http://www.migrationinformation.org/feature/display.cfm?ID=191. Retrieved March 14, 2011. Olchondra, Riza. “Remittances to fuel economic growth.” Philippine Daily Inquirer website. http://archive.inquirer.net/view.php?db=1&story_id=314828. Retrieved March 14, 2011. _______. Labor Ministry outlines Saudization percentage. Arab News. 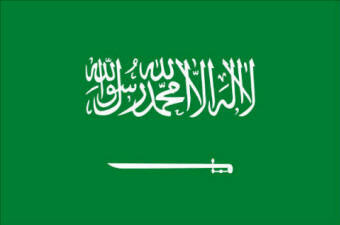 http://www.arabnews.com/saudiarabia/article454198.ece. Accessed July 20, 2011. _______. Employment Situation Summary. United States Bureau of Labor Statistics. http://www.bls.gov/news.release/empsit.nr0.htm. Accessed July 21, 2011.